Sage Canyon River Company is an Oregon river rafting company dedicated to providing adventurous people with the thrill of a lifetime. They have a passion for fishing, camping and white water rafting and they love the outdoors and all that Oregon and the Deschutes River has to offer, which is why they started the company. Sage Canyon River Company operates white water rafting tours on the wild and scenic Deschutes River near Maupin, Oregon suitable for all levels of fitness and enthusiasm. From gourmet meals to entertaining and highly qualified river guides, Sage Canyon strives to give you the best whitewater rafting experience possible. 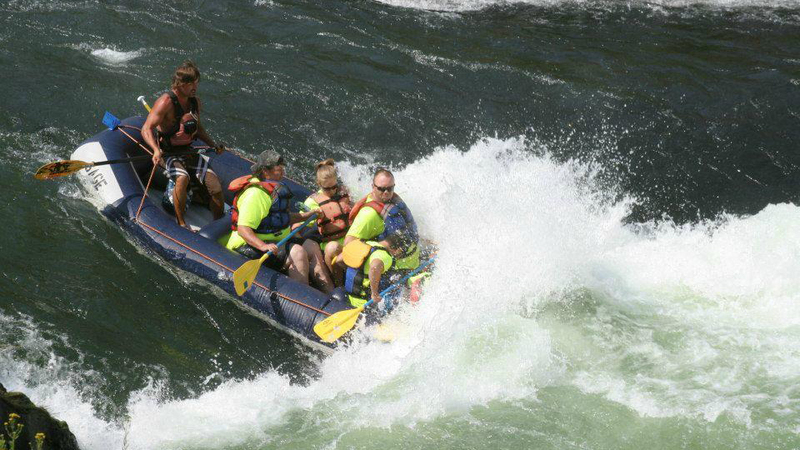 Whether you are looking for a 3-hour, a 6-hour, an overnight or a multi-day Oregon river rafting adventure, Sage Canyon River Company can make it happen. Book your deliriously fun day rafting trip, weekend adventure, fishing trip, or custom rafting excursion with a tour company “utilizing the latest in white water rafting technology and safety standards”.